Britain should grant asylum and psychological support to 100 Yazidi women and girls who escaped to Kurdistan after suffering abuse at the hands of Islamic State (IS, formerly ISIS/ISIL) captors, say campaigners. Jihadists have kidnapped thousands of women from the Yazidi religious sect, condemning them to sexual slavery and inhuman abuse. Many have escaped to regions of northern Iraq controlled by Kurdish authorities, but remain deeply traumatized. Lawyer and campaigner Jacqueline Isaac, vice-president of Californian human rights group Road to Success, said nations, including the UK, must grant them asylum and provide psychological help. “We’re not talking about letting in thousands of refugees, we’re talking about 100 young girls that need care that they may not be able to get there [in northern Iraq] because of lack of resources and the culture,” she told the Guardian on Friday. 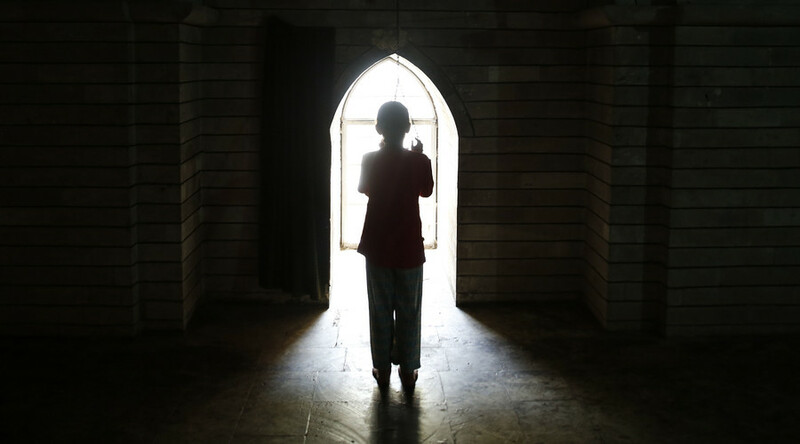 Isaac commended the work of Kurdish authorities, but said there are cultural factors leaving survivors of sexual abuse at a severe disadvantage. “Even though the Kurdistan regional government and the locals are doing a great job to try to support them, there is still that culture that is ingrained in the society that says if you have been raped or lost your virginity, you don’t have as much value,” Isaac argued. Besides Turkmen, Shiite Muslim and Christian women had also been enslaved, she said. A UN report released in January suggested the Islamist group has 3,500 slaves, most of them women and children. Britain was recently criticized by Oxfam for not taking a “fair share” of refugees from Syria relative to the size of the UK’s national economy. “While people continue to flee Syria most countries have failed to provide a safe home for the most vulnerable,” Oxfam GB Chief Executive Mark Goldring said in a statement on Wednesday. Although the British government has provided “generous” amounts of financial aid, it had “only offered to resettle 20,000 people by 2020, approximately 5,000 people a year,” he said. “This is simply not good enough and Britain can and should do more,” Goldring added.